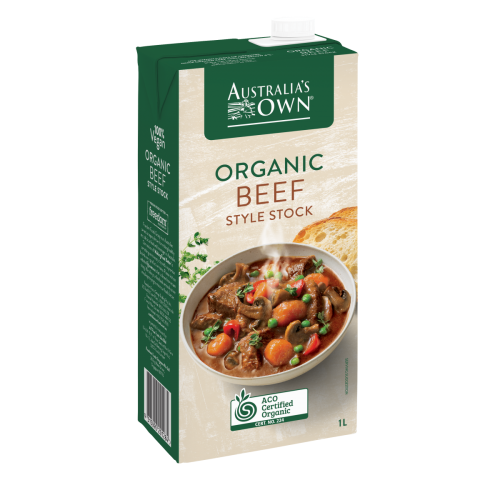 Australia’s Own Organic Liquid Stocks are completely vegan, made using only the best natural ingredients to give you that vegetable style flavour. Australia’s Own Organic is proudly endorsed by the Australian Certified Organic program which develops the interests of Australian organic industry farmers, operators, producers, processors and traders. 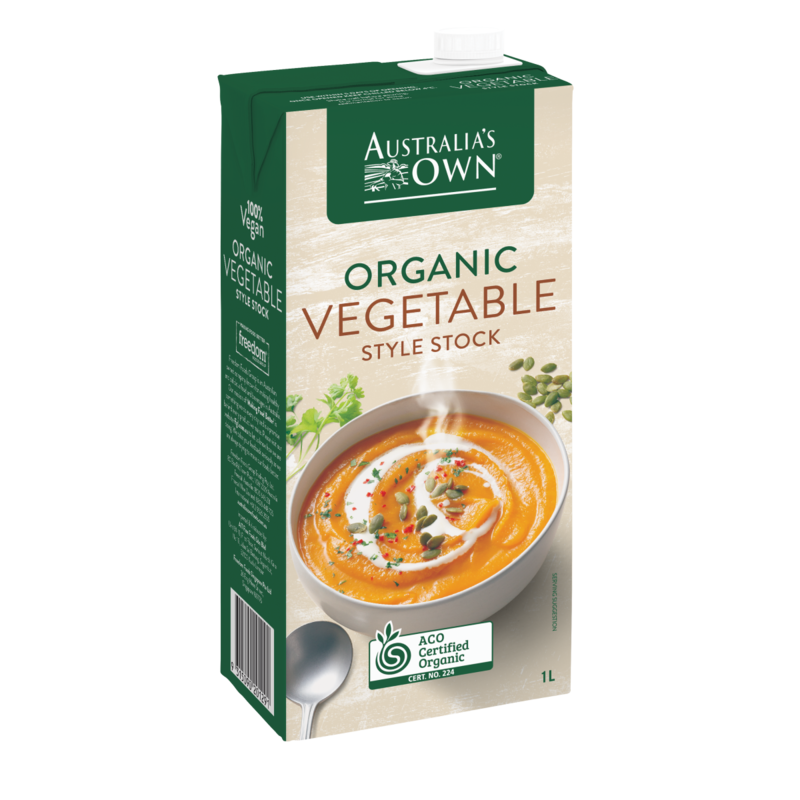 Australia’s Own Organic Liquid Style Stocks are completely vegan, made using only the best natural ingredients to give you that vegetable style flavour. Australia’s Own Organic is proudly endorsed by the Australian Certified Organic program which develops the interests of Australian organic industry farmers, operators, producers, processors and traders. INGREDIENTS: Australian Filtered Water, Organic Maltodextrin (Organic Rice), Salt, Organic Vegetable Powders (Garlic, Onion), Organic Sugar, Yeast Extract, Organic Rice Flour, Natural Flavour (Celery), Organic Black Pepper, Carrot Powder, Organic Sunflower Oil.